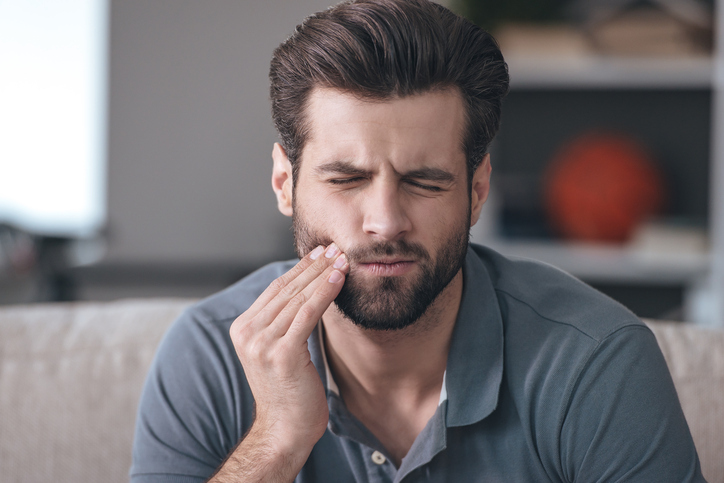 Gingivitis, often referred to as periodontal disease, is a mild form of gum disease that can cause irritation, redness, and swelling of the gums. These symptoms can range from very mild to somewhat severe. For many people, gingivitis is so mild that they may not even realize they have it until their dentist tells them during a routine checkup. Gingivitis is not a death sentence for your teeth, however. In fact, in many cases it’s relatively easy to remedy with the right care. Still, prevention is often the best medicine when it comes to this inflammatory disease. Keep reading to learn more about gingivitis and how you can keep it at bay. The most common cause of gingivitis is a lack of basic oral hygiene. Brushing and flossing regularly can help keep plaque from forming around the gum line and on the teeth, preventing the start of gingivitis. Ideally, you should be brushing your teeth at least twice per day. Using an electric toothbrush can help remove excess plaque on the teeth, and is often recommended by dentists who have patients exhibiting gingivitis symptoms. In addition to brushing regularly, you should floss every day as well. Dentists often recommend water-based flossing systems along with electric toothbrushes to ensure the proper removal of plaque. Gingivitis symptoms are often easy to miss. That’s why many people don’t even know they may be suffering from gingivitis until they pay a visit to their dentist. Puffy gums that are soft to the touch. Healthy gums are firm. Receding gums that are pulling away from the area where the gums and teeth meet. Discomfort when brushing, flossing or eating. Tender gums. Tender gums sometimes bleed when eating, brushing or flossing. Bleeding often indicates a more serious gingivitis issue. Gingivitis symptoms are not the same for every person, so what you experience may be different from another person with gingivitis. Gingivitis symptoms are often so mild that people don’t notice them for months before seeing their dentist. If your dentist finds that you show symptoms of gingivitis, the first thing he or she will want to do is a thorough cleaning to remove all plaque from the surface of the teeth. Scaling and root planing, a special cleaning procedure, may be recommended to remove plaque from below the surface of the gum line. Your dentist will likely also evaluate crowns, bridges and any other restorative work you’ve had done to ensure they are not damaged. In some cases, improperly fitting crowns or damaged restoration work can allow gingivitis to take root in an otherwise healthy mouth. If you’ve suffered from gingivitis in the past and have eliminated your gingivitis symptoms, the best thing you can do is to maintain a strict brushing and flossing schedule. Using quality implements like an electric toothbrush and water-based flossing system can help with prevention as well. In addition to proper at-home dental care, you should be visiting your dentist for regular checkups. He or she will help you find any new issues and keep gingivitis symptoms from coming back. Contact Central Florida Periodontics and Implantology to learn more about gingivitis and how you can prevent it. We can also help with a wide variety of issues and treatments, from dental implants and bone grafts, to scaling and root planning, and more.